This is a great gift for Christmas, birthday, kids, boys, girls. Great 3D laser engraving. The crystal ball is adsorb in a primary base and rotate by a panel. The product charges by eletricty with a usb cable and just switch on the power button to start it lighting, spinning and rotating. The whole sphere looks beautiful and create magical atmosphere./b And we are glad to bring this excellent design for every customers in order to make your life wondeful. Each Crystal ball is made of a high grade k9 crystal the same material used in high end home decor. Can be a luxury gift for kids and be used as night light for kids. Great Christmas gifts, birthday gifts, great choices for the fans. 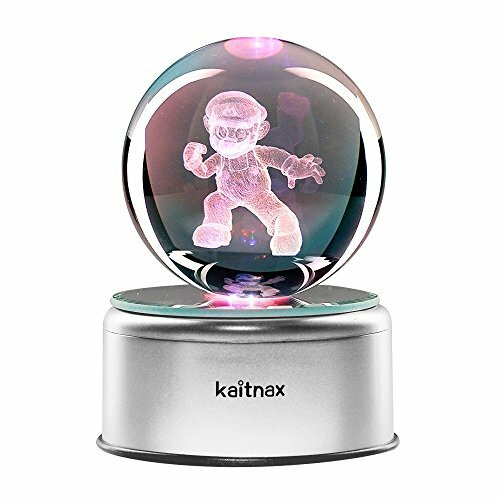 If you have any questions about this product by Kaitnax, contact us by completing and submitting the form below. If you are looking for a specif part number, please include it with your message.